Take advantage of a great networking and relationship management tool, LinkedIn. LinkedIn is a very powerful tool when used correctly. But just “being” on LinkedIn is not enough. Having a profile on LinkedIn will get you about the same thing as going to a party and standing in the corner. Someone might come up to you, but you can’t expect any results. If you want to get results you have to learn to utilize the tool to interact and commit to doing it. I’ve compiled a list of 10 ways to build your network and get results below. Don’t Have time to read the whole blog post? Check out the slideshare for a quick overview. According to LinkedIn “users with complete profiles are 40 times more likely to receive opportunities through LinkedIn.” What makes your profile complete? Be sure to add a current, professional and engaging photo. It should be a head shot. Your face should fill the frame. Your photo is the first thing people will see. Be sure to choose one where you are looking directly into the camera with a warm friendly smile. This will help people get to know you and start to bond with you. Unlike Facebook, LinkedIn is not the place to have silly profile pictures. If you wouldn’t put it on your business card, don’t use that photo for LinkedIn. 2. Send a personal message with each connection request. It was great to see you at the business networking event last night. I’d like to talk to you further about the technology group you mentioned. Let’s get connected on LinkedIn so we can share our networks. I look forward to talking again soon. 3. Use it for networking, NOT selling. 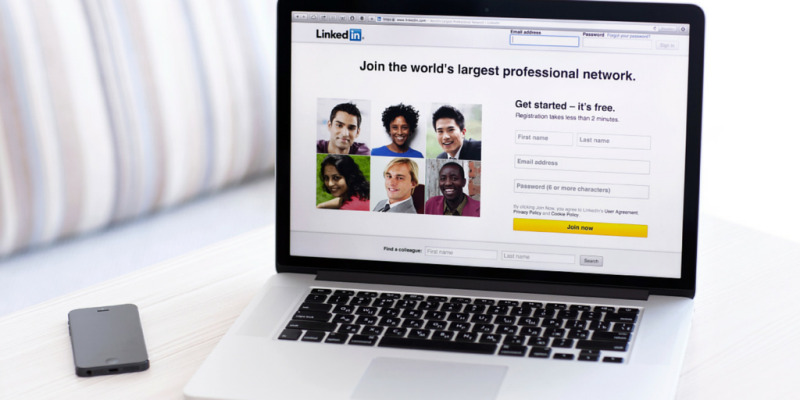 LinkedIn is a tool designed for networking, it isn’t designed for selling. Many people connect with those they don’t know and then immediately send them sales messages. Bad move. I hit delete and remove them as a connection. Focus on building relationships. Look at their profile to find things you have in common and mention those in your message to them in order to build the relationship. 4. Get involved with groups. Notice I didn’t say join. Joining is not enough. You won’t get results. You have to get involved in the discussions and share valuable information. When people you don’t know from a group interact with you, it gives you a reason to ask them to connect. This widens your network and creates a platform for you to add value and build credibility. Interact and add value. Joining groups is one of the best ways to connect with people you don’t know. If there is someone you don’t know that you want to connect with, find someone who knows you, likes you and trusts you to introduce you. This is much more effective than sending a connection request to someone who doesn’t know you. To increase the likelihood of connecting to people you don’t know by someone you do, invest the time getting connected and strengthening relationships with people you know. So go back to point 1 and 2 above. Don’t forget to reciprocate. Everyone is trying to build their network and your connections can be helpful to them also. For more on exactly how to get introductions read my blog post “Connect to Me”. And don’t forget, you can pick up the phone and call and ask to be introduced, letting your connection know why and determining together the most effective way to make the introduction. 6. Build a company page, link your profile to it, and keep it up-to-date and active. Have you recently hired someone new? Post that on the company page. Do you have a new blog post demonstrating your knowledge in your field? Post that on your company page. Have you been featured in any news sources? Post that on your company page. If you feel like you don’t have enough followers on your LinkedIn company page please check out my blog post titled “How to Have a LinkedIn Company Page That Gets Results”. 7. Spend at least 15 minutes a day on LinkedIn. For my business, LinkedIn is one of my most powerful lead generation tools. Fifteen minutes a day goes a long way, but you may need to spend more – I typically spend about 5 hours a week. Post an activity: I’ll post what I am doing, an upcoming event or a link to an article. Click like, comment, or share: I look through the activity feed and see what others are up to and click like or comment. If they posted something my followers would like, I share it. Check groups: I check my most important groups to see what has been posted and respond if appropriate. I interact in the conversations and sometimes start one. Check messages and invites: Of course I respond to any messages and look to see who has invited me to connect. If I don’t know the person I read their profile, check their website, and then send them a message. I only connect to people I am willing to develop a business relationship with. Send a note: I find people I haven’t connected with in a while and send them a quick note or a link to an article or event I think they will find interesting. I don’t do all of these things every time, but throughout the week I will do all of them. I login to LinkedIn at least once a day for 15 to 30 minutes and I schedule time on my calendar to use it as a lead generation tool at least once a week for an hour or two at a time. 8. Find ways to help others. If you really want to be a powerful LinkedIn user, find ways to help others. Connect people you know who should be connected and let them know why. Invite people to groups they would be interested in. Share valuable information you have read that will interest them. Help them learn to use LinkedIn by sharing this article with them. 9. Engage in conversations, not self promotion. 6 should be great content you enjoyed reading and thought worthy of sharing with your audience. 3 should be informative content that you or your company produced and it can include blogs, videos, infographics, case studies and other similar items. 1 can be a shameless self-promotion of your offerings. This is a great guideline to follow. If you follow other experts and thought leaders you will always have plenty of great content to post. This is one of the reasons why I love Twitter. It is an endless stream of great content. 10. Be social. Interaction is the key. Interact with others online as you would in person. Stay in touch, congratulate, compliment, make introductions, send valuable articles, click like, comment and share their posts. Pick up the phone when appropriate to continue the conversation. The most valuable asset a business person has today is their network. Developing a strong usable network is one of the most important things you can spend time doing. Networking is all about connecting with people. LinkedIn is merely a platform for connecting. Using LinkedIn in tandem with in-person networking will help you strengthen relationships which will lead to sales. Does Social Media Really Help Drive Sales?